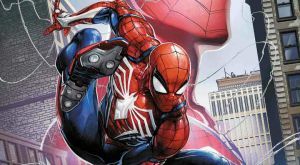 PS4 Spider-Man Joining Spidergeddon Comic | Nerd Much? 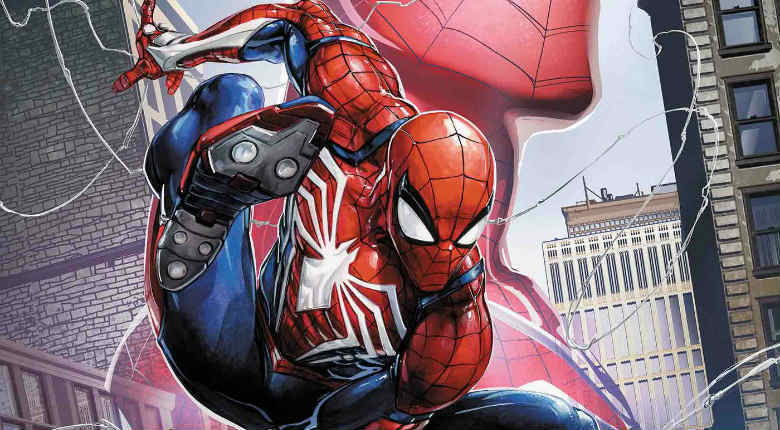 Marvel Comics has been teasing an upcoming comic event that the company has called Spidergeddon. It’s similar to 2014’s Spider-Verse in that the story will bring together over a dozen of the various Spider-Man entities throughout the various Marvel universes. However, in the teaser image, one of the characters remains mysteriously blank. But today we found out who the mystery web slinger was. It’s the version of the character in the upcoming Spider-Man game for PlayStation 4. Insomniac’s take on the character will make his comic debut in September within Spidergeddon #0. The comic is being written by Christos Gage who previously worked on Netflix’s Daredevil and The Amazing Spider-Man series. Illustrations are being done by Clayton Crain who has previously drawn for Ghost Rider and Carnage. Sony and Insomniac’s Spider-Man swings onto the PlayStation 4 on September 7th. Marvel Comics’ Spidergeddon #0 lands digitally and physically in stores on September 26th.